Demonstrating their commitment to saving rainforests, The Body Shop International & The Body Shop Europe support WLT in a variety of ways. In 2010 a major contribution to coincide with the launch of their Rainforest Haircare range enabled the purchase and protection of The Body Shop Sector in the Atlantic Rainforest at REGUA, Brazil. The Body Shop was also one of the sponsors of our Gold Medal winning ‘Saving the Atlantic Rainforest’ exhibit at RHS Chelsea Flower Show in the same year. Some branches of Body Shop Europe also support WLT through their Loyalty programme. 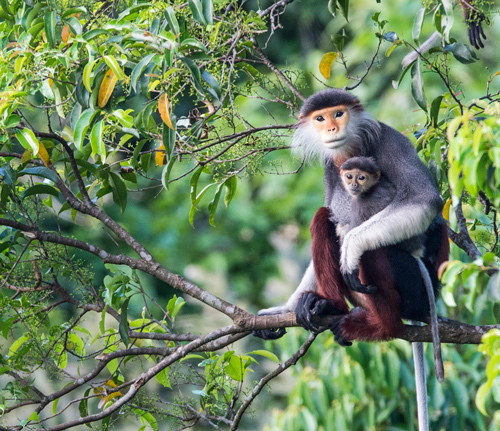 As part of its Bio-Bridges campaign, The Body Shop has committed to working with World Land Trust and its conservation partners to protect threatened habitat for wildlife in Khe Nuoc Trong, Vietnam and Garo Hills, India.